It was another fantastic night for British teams in the Europa League with all four teams still in the running to make it to the knockout stages of the competition. 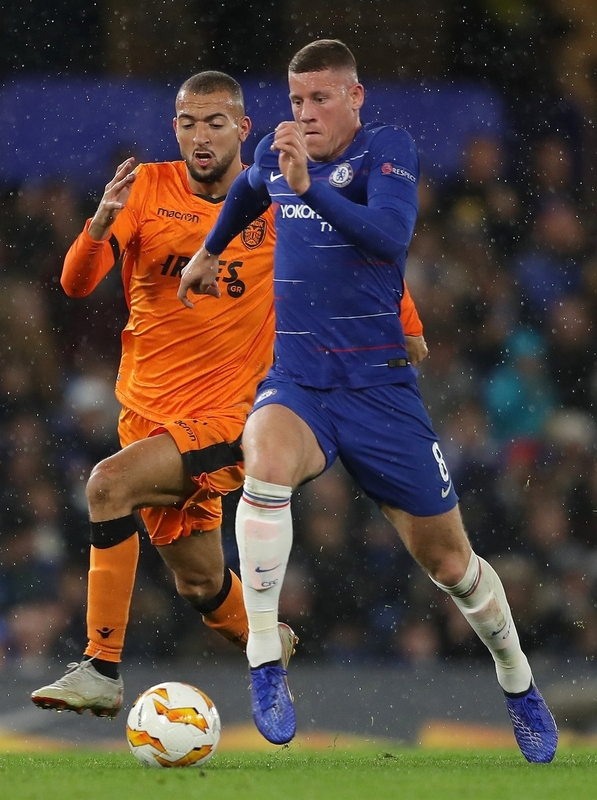 Chelsea romped home with a resounding 4-0 win to extend their lead at the top of Group L to nine points with one game to go in the group stages of the competition. Olivier Giroud set the tone with two first-half goals for the Blues after PAOK Salonika were reduced to 10 men when Yeven Khacheridi was shown a straight red card in the seventh minute for denying Giroud a clear goal-scoring opportunity. Callum Hudson-Odoi compounded PAOK’s problems with his first senior goal for the club on the hour mark to extend Chelea’s lead to 3 before Alvaro Morata finished the Greek side off with his first touch of the ball off the bench. 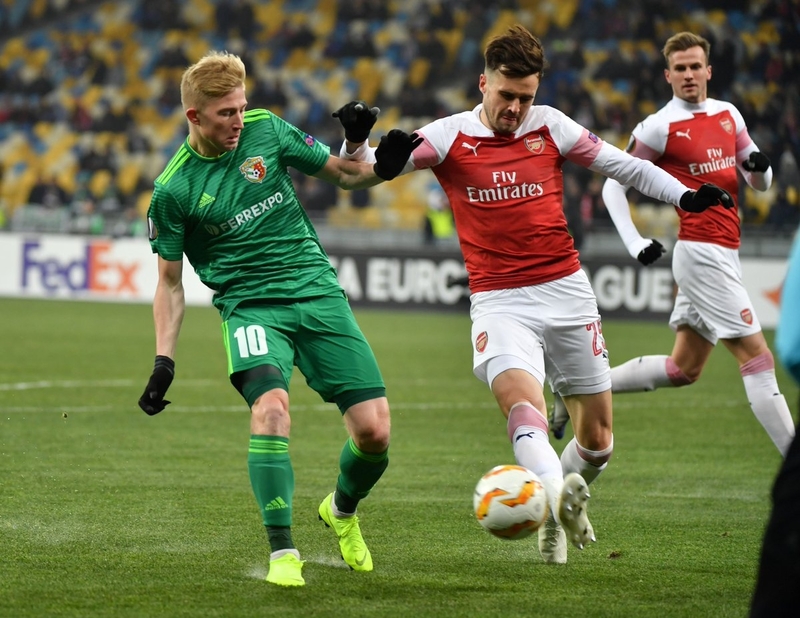 Arsenal have joined their London rivals in securing top spot in their group following a clinical display in Kiev against Vorskla Poltava. Three first-half goals proved the difference between the sides as the Gunners took an early lead and never looked back. Emile Smith Rowe scored his second European goal for the club, slotting home after 10 minutes after the ball fell kindly at his feet. Aaron Ramsey was then brought down in the box and awarded a penalty which he duly netted himself to score his first spot-kick for Arsenal in his final season for the London side to double the lead just before the half-hour mark. Nineteen-year-old Joe Willock claimed his first senior goal, slotting home from just outside the area to extend Arsenal’s lead to three, extending their unbeaten run to 18 matches in all competitions. In Glasgow, Rangers gave themselves a chance of qualification after clinging on for a 0-0 draw at home against Villarreal. The Gers were reduced to 10 men when Daniel Candeias was shown a second yellow card just before half time, but a superb performance from goalkeeper Allan McGregor prevented Villarreal from taking what would have been a deserved goal. As it stands, Rangers now must win their final match to reach the last 32 of the competition. Meanwhile, Celtic took the honours in Norway against Rosenborg to leave the Scottish champion’s just one point away from reaching the knockout stages. Scott Sinclair headed home just before half-time which, despite taking 16 shots, proved to be the only goal of the game in a match dominated by the Scottish side. Thanks to RB Salzburg beating RB Leipzig to qualify as group winners, Celtic go into their final game knowing a point against the Austrians on 13 December will guarantee qualification.